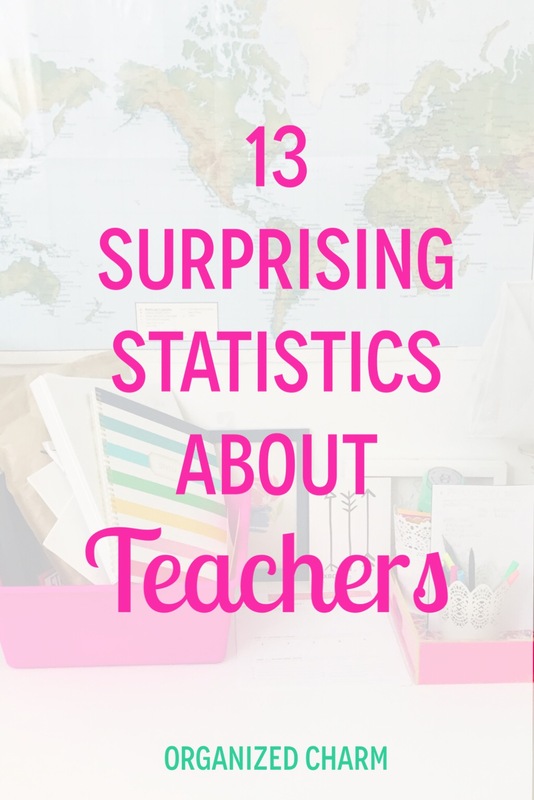 If you're someone who is interested in becoming a teacher, here are some "real talk" statistics that your professors may not mention. Teacher hours are usually coveted by people in the "regular" workforce. The breaks, holidays, and early dismissal. I've got to admit, especially now that I'm a mom, those breaks are invaluable! The lines between working and not working are usually pretty blurred for teachers. Even when you're not in the building, you're emailing parents, looking up ideas, prepping materials, lesson planning, etc. The great thing about this job is that it is SO personal and SO creative. Because no two teachers are the same, it is easy to feel passionate about what you're doing! For that reason, work doesn't always feel like work. It's always new and exciting and different! It's no secret that the pay for teachers is not great. Public school systems typically pay more than independent schools, so if money is a priority for you, you probably want to go public. Not all teachers who have second jobs do it just for the money, though. You have to take into account that selling on Teachers Pay Teachers or Etsy would be considered a "second job," too. Also, keep in mind that teachers sometimes get bored over summer or on breaks. It's nice to have a side hustle or something productive to do with your time! Personally, I tutor outside of school hours and host a couple of summer camps. The flexibility teaching provides is great! Depending on where you teach, your students may need financial assistance from time to time. This is 100% NOT expected or obligatory. As you get to know your kids and their families, you may want to step in and cover a field trip admission or buy food for a student to take home over the weekend. Your students become YOUR kids and you never want to see them left out or in need. It's always a case-by-case basis when you decide to help out a student in need. This sounds so cheesy, but your heart will guide you if you run into this kind of situation. Most people you know could easily tell you the name of their favorite teacher growing up. I can't even tell you how many "I love yous" and "You're the bests" I hear from my students throughout the day. Your kids will LOVE you and look up to you. They will draw you pictures and value your opinion and pretend to be you on the playground ( well, maybe not the teenagers ;) ). You'll talk about your students to anyone who will listen. Your spouse/roommate/mom will know your students by name, even if they've never met them! When you send your kids off to the next grade, you'll tell the new teacher "You better take care of ___, he/she's my baby!" Every teacher has their own individual work style when it comes to this. Personally, I like to show up 45 minutes early each morning. That gives me time to set up my room, think about the flow of the day, prep, lesson plan, email, and just do anything that needs to be done. At the end of the day, I usually try not to stay any longer than 30 minutes. There's always more to do, but I set a timer and leave when it goes off. In addition to the school day, there are sometimes nighttime events, like open houses, parent-teacher conferences, and other special events. Weeks with these events can be exhausting, but they can also be fun because they bring you and your team a lot closer! The Professional Developments can be SO overwhelming your first year! Your district will have you attending so many different seminars, workshops, lectures, orientations, in-services, and classes that you won't know what to do with yourself. And EVERYTHING has an acronym. I once attended an entire seminar on some new initiative called CLIP, and when I left, I still didn't even know what CLIP stood for! The good news is, the things that you learned will start to make sense once you have an opportunity to apply them. The bad news is, you will feel like you are drowning in PDs your first year. Just stick with it... it will get better! This is actually a great ratio! Where I live, in Tennessee, the maximum class size for Kindergarten is supposed to be 25. However, my roster hovered around 28-30. Be prepared, if you teach in a lower-income area, that several of your students may drop from your roster without warning. This is caused by unstable living environments, where families may move from one relative's house to another throughout the school year. The size of my class varied from week-to-week. Now that I'm teaching in an independent school, my school's student-teacher ratio is 9:1. This is one reason many parents choose independent schools when they can. 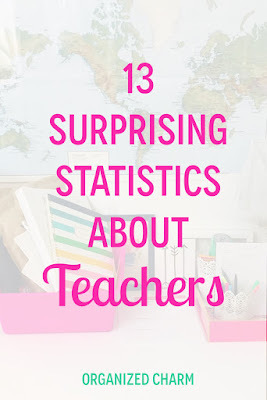 I am represented by this statistic, as well as most of the teachers I know. In my job search process, it seemed like the #1 thing administrators cared about you having was a certification. Even with a Master's Degree, it was virtually impossible for me to get hired until they knew I had taken all of my certification exams. BUT if it comes down to two certified teachers, having a higher education degree will likely put you ahead. A lot of teachers choose to attend grad school WHILE they are teaching. It's important to remember that teachers are lifelong learners who are always looking to improve and grow! If you follow a lot of teacher accounts on Instagram, you'll see that there is a LOT of talk about being tired and a lot of love for coffee! Why don't teachers get enough sleep? According to a recent Gallup poll, the average American gets 6.8 hours of sleep... so none of us are doing a great job of sleeping. For teachers, there is work that comes home with you. Factor in commutes to work, and the responsibilities of home and kids, and it's easy to see how it can be hard to get enough sleep. In fact, only 48% of moms sleep 7+ hours per night (regardless of their career). We've just all got to learn to prioritize our health, regardless of our circumstances. In Tennessee, it's about $10,000 less than that. 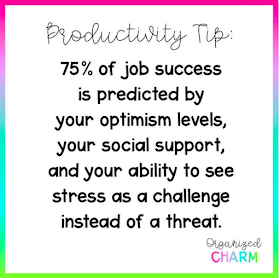 But you can make more depending on your test scores, seniority, and observation scores. According to Chron.com, the average for private school teachers is $36,250. The decision between public and private is one of time vs. money. Private schools aren't held to the intense state-testing standards that public schools are. As a private school teacher, you can usually leave work earlier, have more control over your content, and there is far less paperwork. Personally, the work-life balance and positive relationships with admin that private school provides are worth the pay difference for me. It's very rare that you run across an educator who hates his/her job. If this job is not for you, will find out in the first five years. Teaching is too demanding for someone who is not passionate about it. Most teachers are happy to spend their own money, work the long hours, sit through the PDs, and all the other things that come along with teaching. It's hard to explain because it sounds crazy! But when you love your job, you love all the hard things that come along with it. You embrace it, make light of it, and find teammates to encourage and be encouraged by. It's kind of like how college life is exhausting but fun at the same time. There is so much joy in teaching. Just make sure to keep a positive attitude! This is something that keeps a lot of teachers running. There is so much appreciation felt by Americans toward teachers. When I tell people what I do, the first thing most of them say is, "It takes a special person to be a teacher. I could never do that!" Guess what? They are right! It is a difficult job that requires a lot of patience, perseverance, and passion. If you are called to be a teacher, YOU ARE A SPECIAL PERSON. You are willing to care for other people's children like they are your own. You think about them on the weekends, over breaks, and even years later. You will maintain relationships with some students and their families for a lifetime.